If you live in Blythewood or the surrounding area and need a trusted veterinarian to care for your pets – look no further. 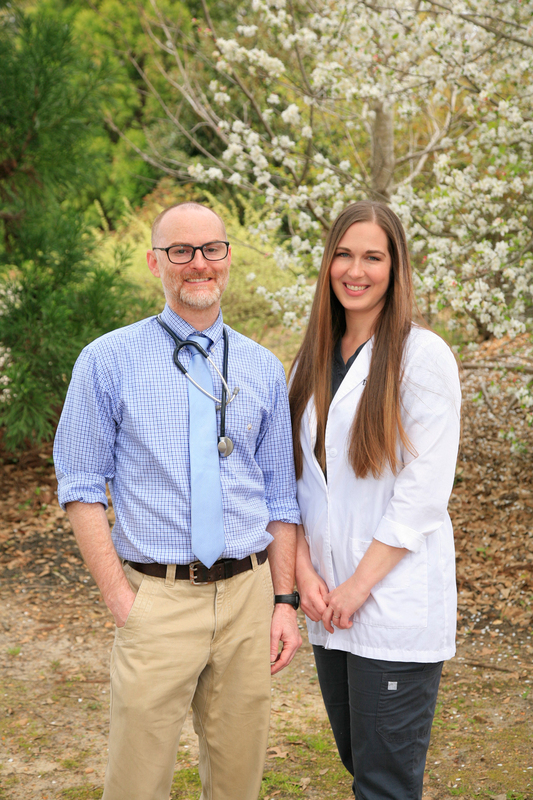 Dr. Brian Gallery and Dr. Cara McKinnon are licensed SC veterinarian, treating small animals. Your pets’ health and well being are very important to us, and we take every possible measure to give your animals the care they deserve. quality medical and surgical care to their patients. surgery and soft tissue surgery. vaccines and annual check ups as well as emergency and surgical care. kennel with multiple oversized runs. "Two knowledgeable veterinarians who listen to my concerns and offer reasonable solutions for the care of my pets. We are thrilled to have this couple in Blythewood." "Dr. Gallery, Dr. McKinnon and staff provided wonderful care and compassion to Bubba (my cat) So thankful for their knowledge and kindness!" "Dr. Gallery, Dr. McKinnon and the staff are extremely nice and professional. They truly care about me and my dogs. I would highly recommend them to take care of your sweet pets." "Dr Gallery is wonderful with Mollie. Time is always taken to listen and answer my questions or concerns. Front desk staff was so pleasant. Caring and friendly Animal Hospital. I highly recommend!" "Dr Gallery and Dr. McKinnon are a blessing to Blythewood. I’m so glad they are here to stay!!!" "The veterinarian actually showed love and compassion with my pup. He has a true love for animals. Which is rare to see. Being an animal rescue I have been to many vets that hurry you through and do not show love for animals. Doctors, take time to go the extra mile to research problems with our Dogs. Explain treatment required, at a reasonable cost. Staff members, are polite and knowledgeable." "Dr. GaIlery is very thorough and kind to my dog. I am so thankful to have not one but two competent veterinarians that are caring and reliable for my dog's care." "Dr Gallery took his time to answer all of our questions and we did not feel rushed. It has been a long time since we have felt this confident in a vet." "Companion Animal Hospital is now the only veterinary practice I will use." "I recommend you to everyone. I have never seen/experienced such a fantastic vet and staff before, anywhere. You truly care and it shows in everything you all do."